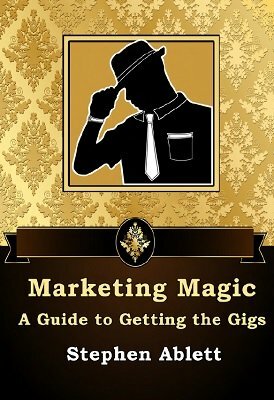 This ebook is an in-depth look at every marketing strategy, promotional material, Search Engine Optimization technique, advertising methods and business strategies in finding, getting and keeping work as a professional entertainer. Over the last 20 years he has been performing professionally as an illusionist, close-up magician, children's entertainer, bar performer, cabaret artist and public speaker. He has performed on cruise ships, in holiday parks, on Television, at celebrity events and at hundreds of parties every year. He reveals everything from how much performers are paid, how to get the elusive jobs, links to relevant websites and agents responsible for recruiting along with a breakdown on what months to market particular groups and societies to bring in the gigs. This eook contains every secret he knows. 1st edition 2015, 723 pages.